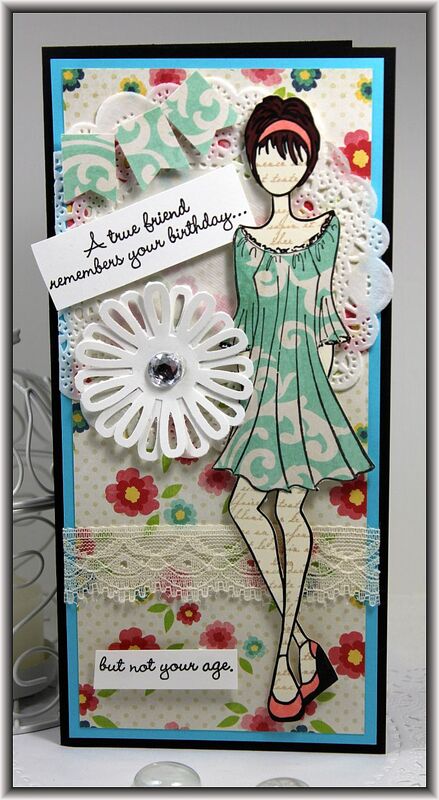 I have had a bit of time to pull out one of my Prima Doll stamps again. They stamps make such pretty cards…. When I was at the Cutting Garden last weekend I managed to snag some new crafty goodies and I am hoping to find some time this weekend to pull them out and see what I can do with them. Kim got in some amazing masculine paper so I am itching to make some more masculine cards. I hope you all are having a great week! Stay warm and Dry! It has been quite cold and rainy here. Our weather is crazy lately… We don’t know what to expect…. one day we are having a blizzard and the next its raining cats and dogs! Well that’s Nova Scotia for you! 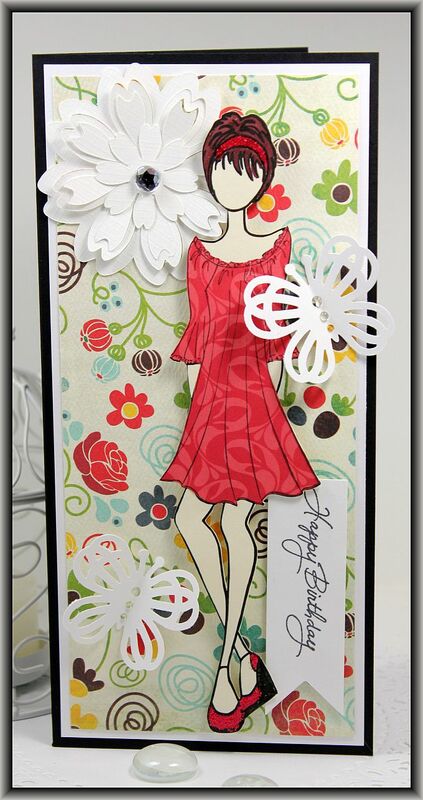 Lisa your cards are so beautiful, thanks for sharing. One never knows how to dress these days, we went from -10 to +4 yesterday in a matter of a few hours. Keeps us guessing, oh well at least we will not get bored with our weather.